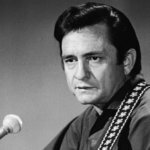 Rumors spread about the name’s origin, including one that claimed Camaro was a rare disease that killed horses (ahem, Mustangs). The truth is a little less interesting. Chevrolet had a history of naming its models using the letter C — such as Corvette, Chevelle, and Corvair. Chevrolet’s PR team wanted to make a big statement when revealing the new Camaro. On June 28, 1966, executives and members of the media joined together at hotels in 14 different U.S. cities to participate in a conference call — the world’s first mass teleconference call. Since the call was so massive, 100 technicians from Bell were on standby to make sure the call was successful. Before the Camaro’s debut, designers considered making a version of a Camaro that was a station wagon, an idea that continued through 1970 when Chevrolet was working on the second generation of the vehicle. When Chevy introduced the Camaro it had a whopping seven different engine options — more than what most other automakers had and more than what’s offered today. The smallest option was a six-cylinder engine with a single barrel carburetor. Consumers could choose the L26 230 CID, which produced 140 horsepower, or the L22 250 CID with155 horsepower. The most powerful engines Chevy offered were two big block engines with four-barrel carburetors: the L35 396 CID producing 325 horsepower and the L78 396 CID producing 375 horsepower. 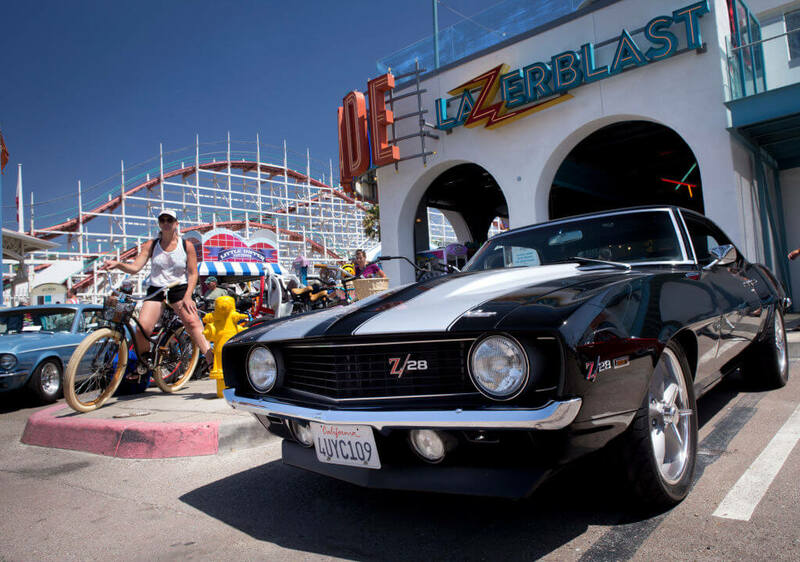 Only 602 people ordered the Special Performance Package Z/28 with a 302 CID V8. 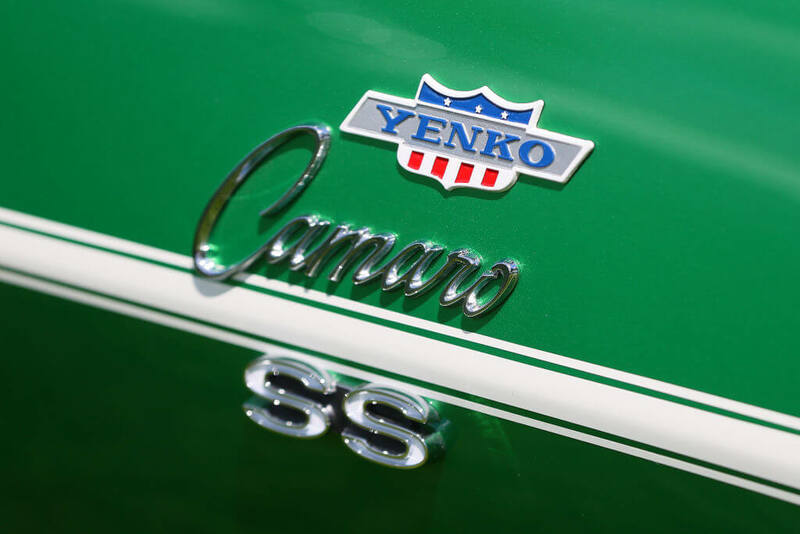 Dealership owner and racer Don Yenko modified the vehicle and built the Yenko Super Camaro. General Motors limited the Camaro so the engine couldn’t be larger than a 400 cubic inch (6.6 L) V8. Yenko and others determined that people would demand a more powerful Camaro so they built one to satisfy the need. In 1967, Yenko used SS Camaros and replaced the engines with Chevrolet Corvette’s L72 427 cubic-inch (7.0 L) V8, giving the vehicles 450 horsepower. He built more over the years, and by 2010 the Yenko Camaro featured a supercharged version of the LS3, the 6.2-liter V8 that was standard on the Camaro SS. The 1967 Camaro had one odd option for consumers. The A67 fold-down rear seat was created for those who needed more space for luggage, such as skis or golf clubs. The Camaro had a solid wall between the trunk and cabin area, preventing people from carrying long objects that couldn’t fit in the car. Then there’s the V75 Liquid Aerosol Tire Chain, which was an option in 1969. It was meant to be an alternative to tire chains used in snow. The refillable aerosol can was tucked away in the rear wheel wells. The driver would push a button, and the spray would cover the tires for traction. This feature might not have been a hit, but the Camaro was about to experience a surge in popularity just two years later. 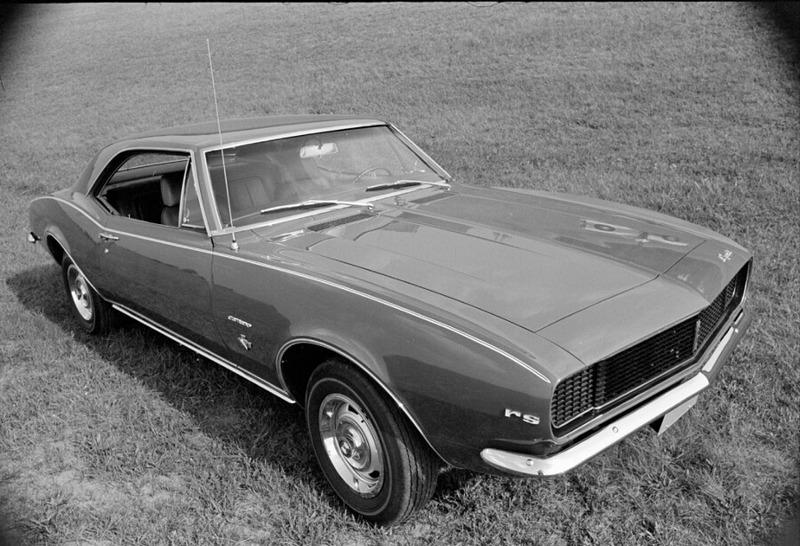 The most popular first generation Camaro was the 1969 version, which had the highest number of sales. At that point, the automaker had given the car both an interior and exterior makeover, and consumers were hooked. Almost 250,000 units were sold that year alone. Sales numbers were quite high considering that the Camaro had only launched just a few years earlier. 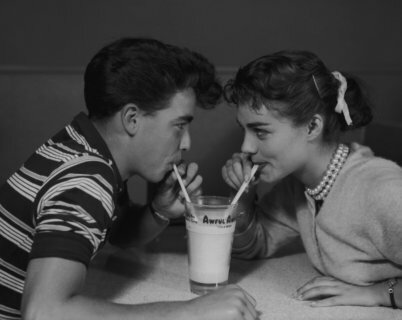 The 1969 model was called “the hugger” and was targeted towards the younger generation. It featured a longer, lower body, as well as an updated grille and bumpers, a new rear end, and round parking lights. Its two-tone paint was also a draw. In 1967, a Camaro convertible with 325 horsepower and a 396 big-block V-8 engine was used as the pace car for the Indianapolis 500. While Chevrolet wasn’t known for making replicas, they built 100 Ermine White droptops built for the motor speedway to use. Most of them were later purchased as used cars. Race officials drove the lookalikes that were created during the early races. The Camaro was the first official Indy 500 pace car to be used twice in the first three years of production. It has since been used a total of eight times during the Indy 500. Chevrolet wasn’t satisfied with building a Camaro just for consumers. It wanted to prove the high performance of the vehicle through racing. 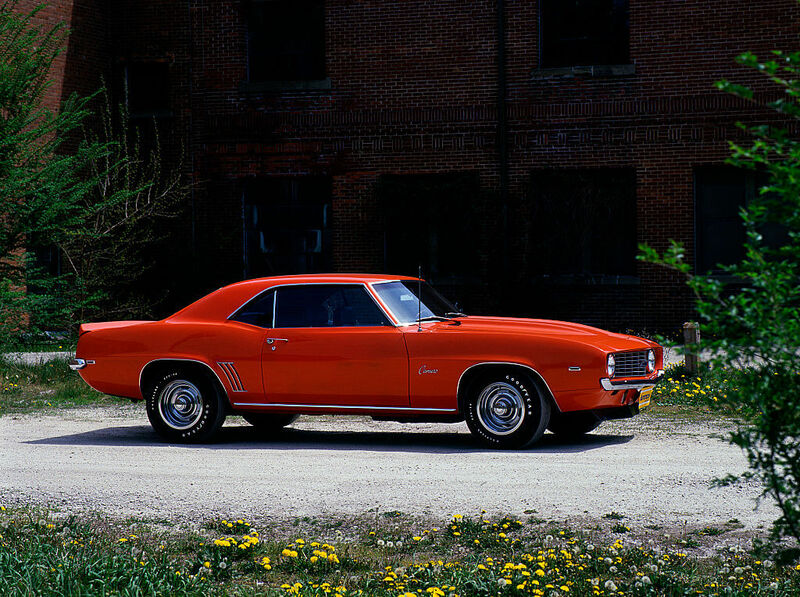 In 1967, the automaker built the Z/28, which was powered by the 290-hp DZ302 4.9-liter high-compression V-8. 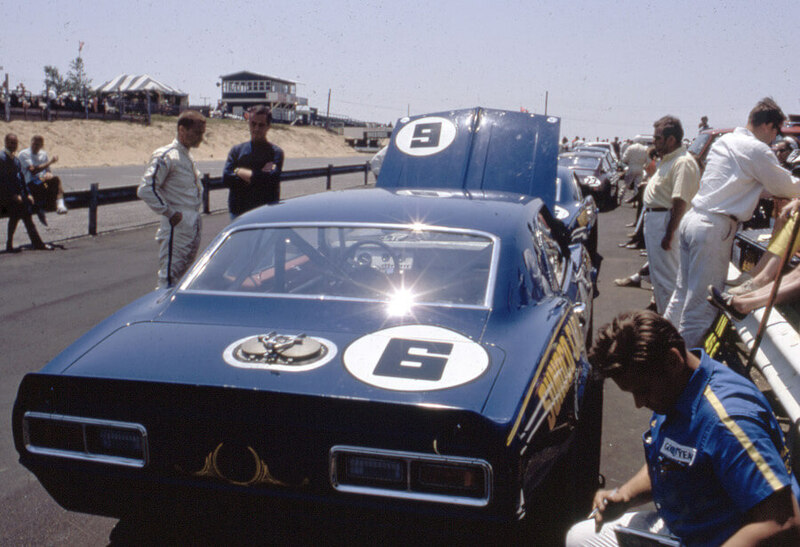 Team owner Roger Penske and race car driver Mark Donohue proved its value in the SCCA Trans-Am series. Donohue won three times during the 1967 season. 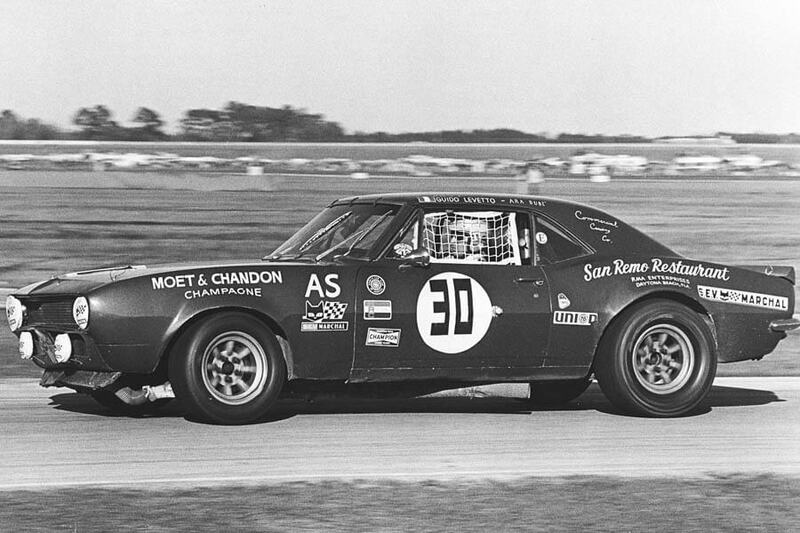 The following year, Donohue used the same Camaro (and a few others) to win ten of 13 races in the season. 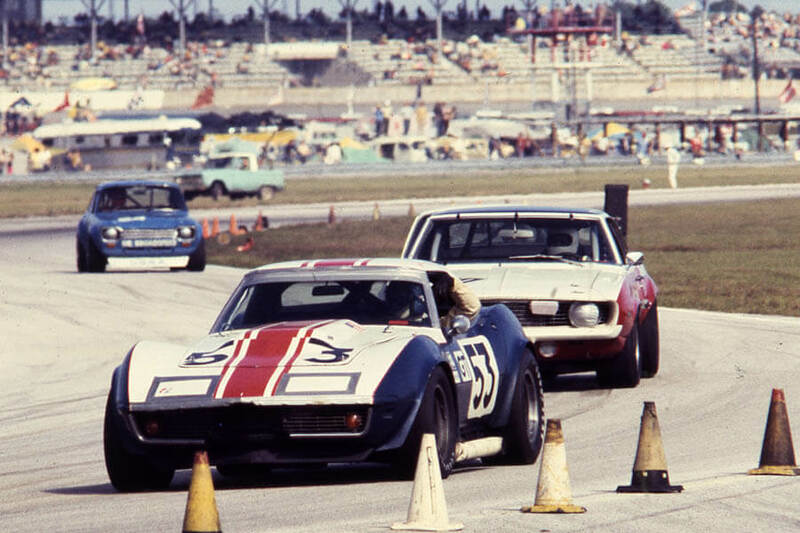 The Camaro put itself on the map as a car to contend with on the race track. 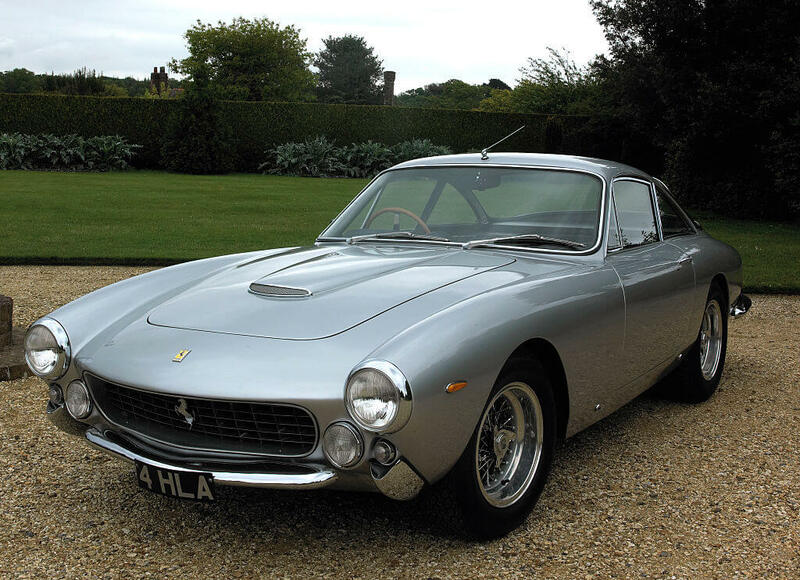 Pictured above is Eric Clapton’s 1964 Ferrari 250 GT Berlinetta Lusso. GM designers were inspired by the classic Ferrari Lusso 250 GT when designing the second-generation Camaro. The similarities are obvious when you look at the two vehicles next to each other. 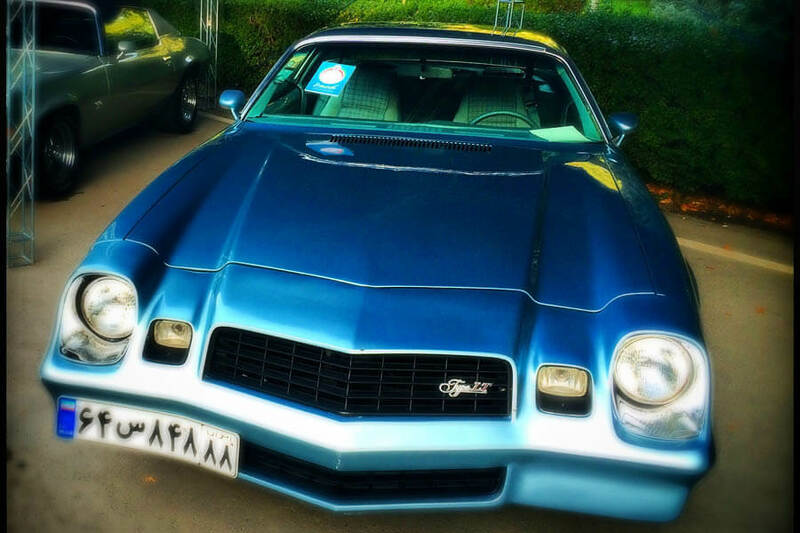 In 1970, GM made almost 125,000 Camaros (compared to Ferrari, which made just 350 units). The Ferrari Lusso 250 GT was the fastest passenger car at the time with a top speed of 150 miles per hour and an acceleration of zero to 60 miles per hour in seven seconds. The 1970 Camaro SS advertised 6.5 L L78 rated at 350 horsepower. 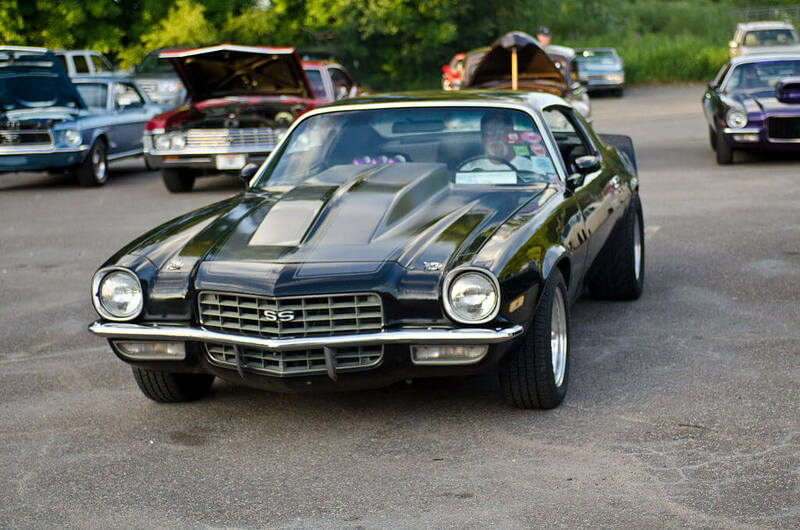 The Camaro quickly became a popular option in the ’60s and early ’70s, but it struggled a bit in sales during the late ’70s and early ’80s. Still, 1979 was the car’s best-selling year. Consumers were pumped up about performance cars, and during that year purchased 282,571 Camaros. Almost 85,000 of them were the Z/28. The 1979 Chevy Camaro Z28 was a two-door coupe with rear-wheel drive and a three-speed gearbox. 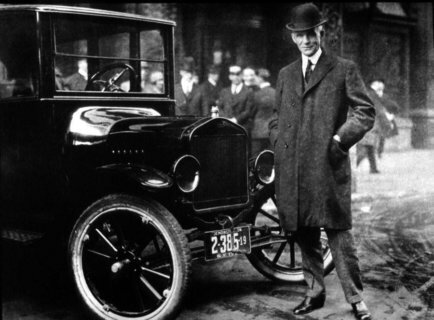 It had a 350 cubic inch engine with 170 horsepower and 263 lb-ft of torque. At a top speed of 105 miles per hours, it traveled from zero to 60 miles per hour in 9.4 seconds and completed the quarter mile in 17.2 seconds. In the 1980s, GM increased the performance of the Camaro with the introduction of the IROC-Z, which was named after the International Race of Champions. It featured 16-inch five-spoke wheels and a Tuned Port Injection (TPI) version of the 5.0-liter V-8 with 215 horsepower. It also had an enhanced suspension, Delco-Bilstein shocks, larger sway bars, a steering-frame brace referred to as the “wonder bar,” and a special decal package. It was on Car and Driver magazine’s Ten Best list for 1985. 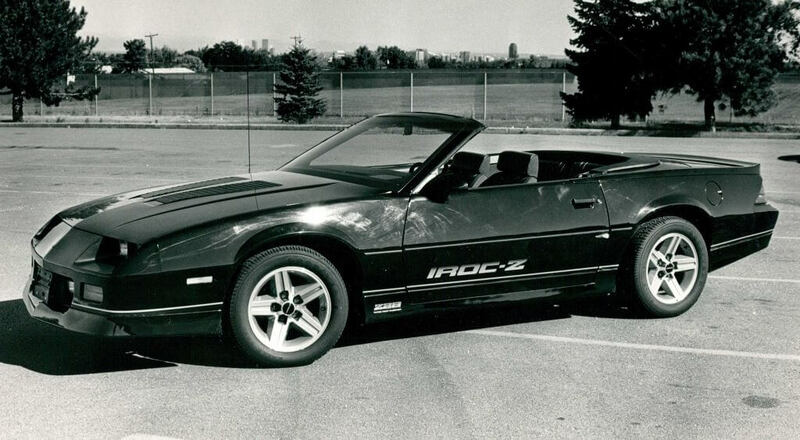 A special California IROC-Z was also created, which was sold in California only. A total of 250 black and 250 red vehicles were produced. In the early aughts, many believed that time was up for the Camaro. The car was “both an old product and, seemingly, an irrelevant and archaic one,” according to Car and Driver. In 2002, to celebrate Camaro’s 35th anniversary, the automaker released a special graphics package for its Z28 SS coupe and convertible. Then production was shut down. Fortunately for fans, Chevrolet reintroduced the Camaro in 2010. 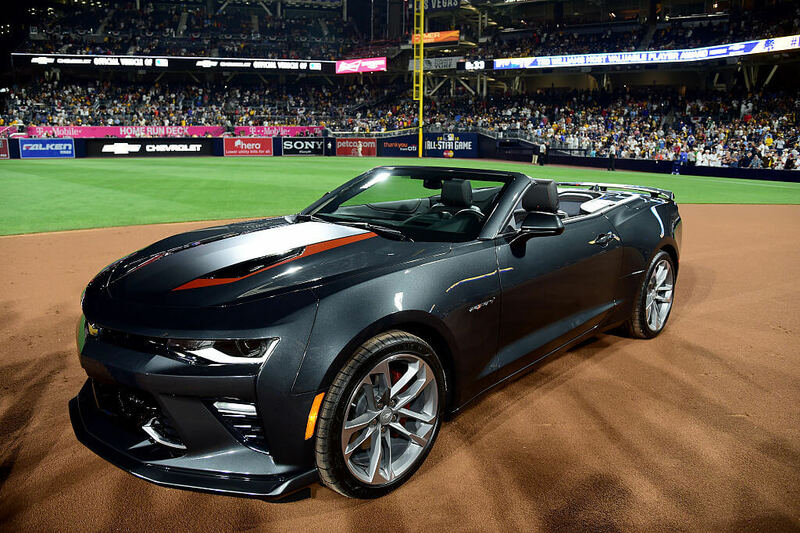 The base and RS models featured a 304-horsepower, 3.6-liter DOHC 24-valve V-6 as well as an SS powered by a 6.2-liter LS-series V-8 with 426 horsepower. The Camaro was back and is still going strong today. Coming up, see which A-list actor is a big fan of the Camaro. While Chevrolet stopped production on the Camaro in 2002, it made a comeback in 2007 before production officially resumed a couple years later. The car appeared in the first film in the Transformers franchise. It made its appearance as the character Bumblebee. A one-off version of the car was developed for the movie. 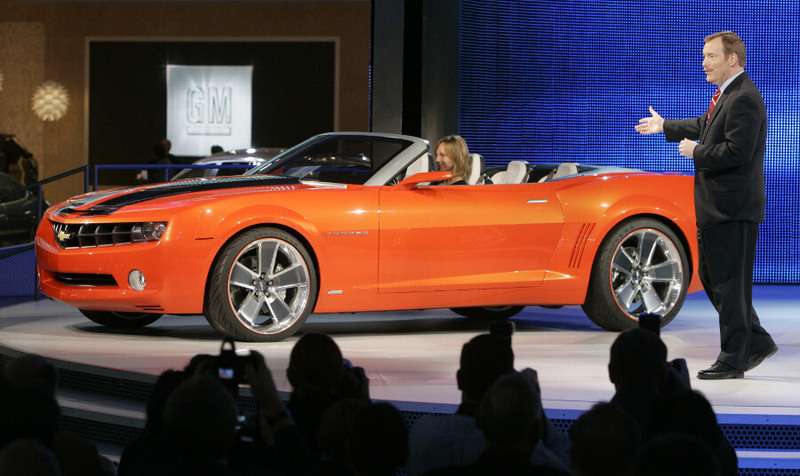 Designers tapped on existing concepts for the future 2010 model in order to create Bumblebee. 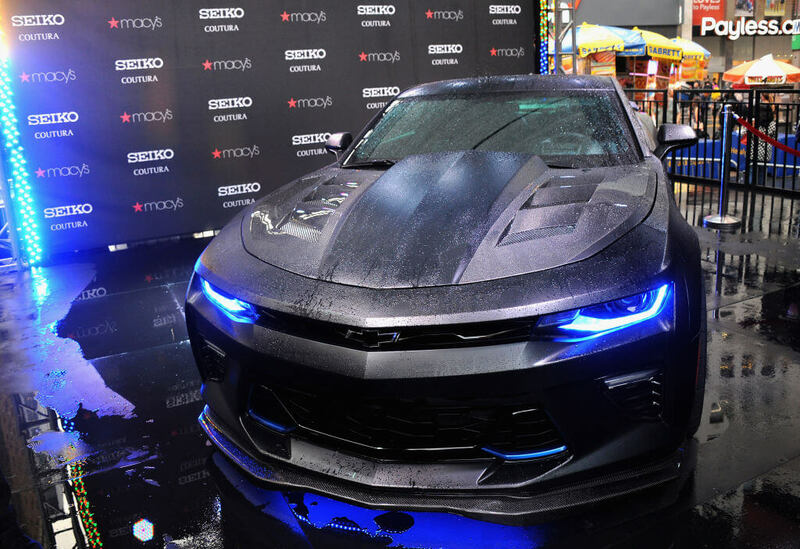 The connection between the Camaro and the Transformers character was perfect because years ago the car was recognized for its bumblebee stripe on its nose. The stripe initially appeared on the 1967 model as part of the SS package. 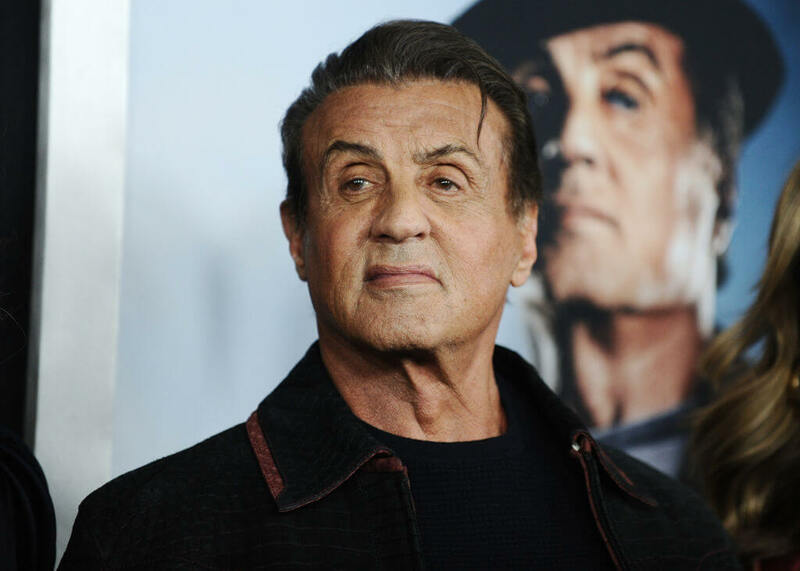 Action star Sylvester Stallone is a Camaro fan and has owned a few of them over the years, including an LS3 powered SS. More notable, however, is his 25th Anniversary Hendricks Motorsports SS. The 2010 custom vehicle has 582 horsepower. In addition to power upgrades, the anniversary edition featured other body and interior modifications: a Callaway Eaton TVS supercharger, coil springs, and wheels, as well as carbon fiber front splitter, rear spoiler, rear diffuser, and rocker panels. It boasted a quarter mile time of 11.89 seconds at 120.1 miles per hour with a zero to 60 time of 3.9 seconds. Its base MSRP was $76,181, and production was limited to just 25 units. There have been several special edition Camaros over the years, including the Neiman Marcus Edition Camaro. The 2011 convertible was Bordeaux red in color and featured ghost stripes. It retailed for $75,000 and was sold exclusively through the Neiman Marcus Christmas catalog. It was such a big hit, that all 100 special editions sold out in just three minutes. The Neiman Marcus Camaros were stocked with a variety of options, including 21-inch wheels, a convertible top, and a beautiful Amber interior. The Camaro was powered by a 426 horsepower LS3 motor. 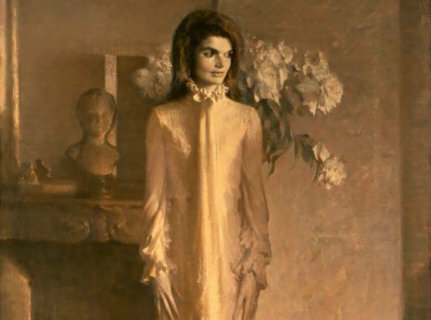 One of the models sold at auction in 2016 in Las Vegas for $40,700. 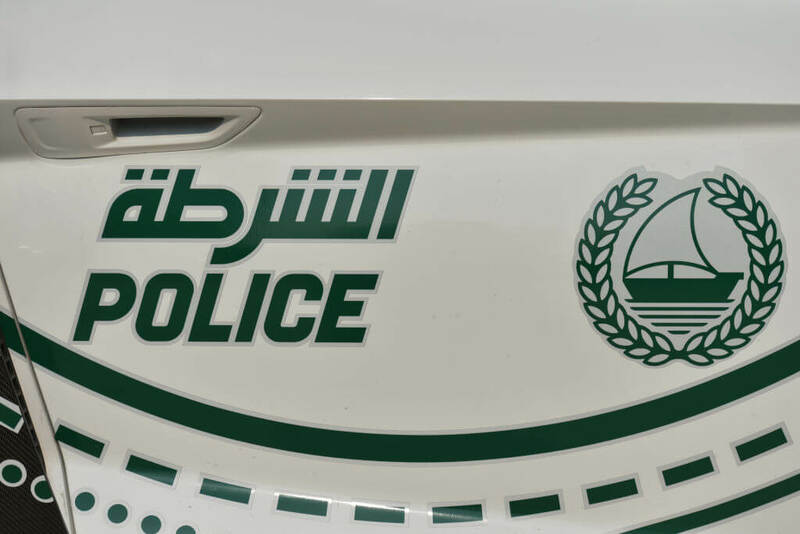 In 2013, the police force in Dubai chose to add Camaro SS coupes to their fleet. Up until that point, Camaros were not used as patrol cars in the Middle East. 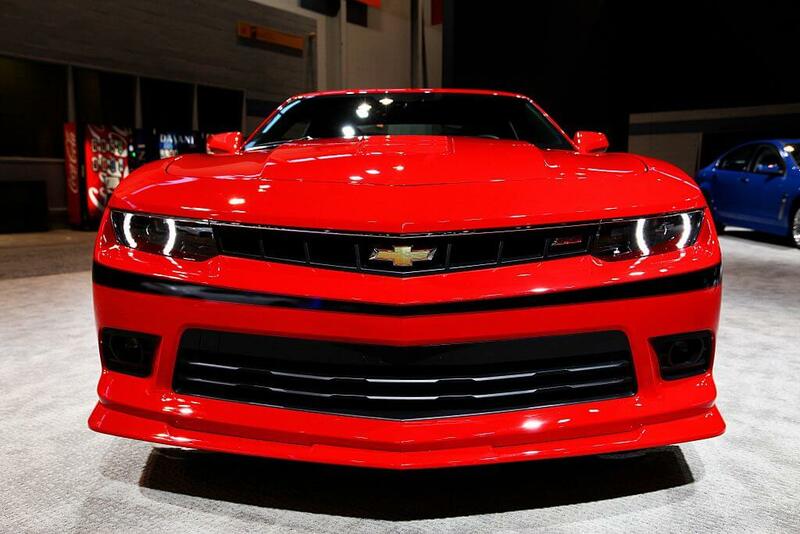 The Camaro SS has a 6.2L V8 engine with 426 horsepower and a torque of 420 lb-ft. It has a top speed of 160 miles per hour and accelerates from zero to 60 miles per hour in 4.7 seconds. The Camaro has six distinct body styles. 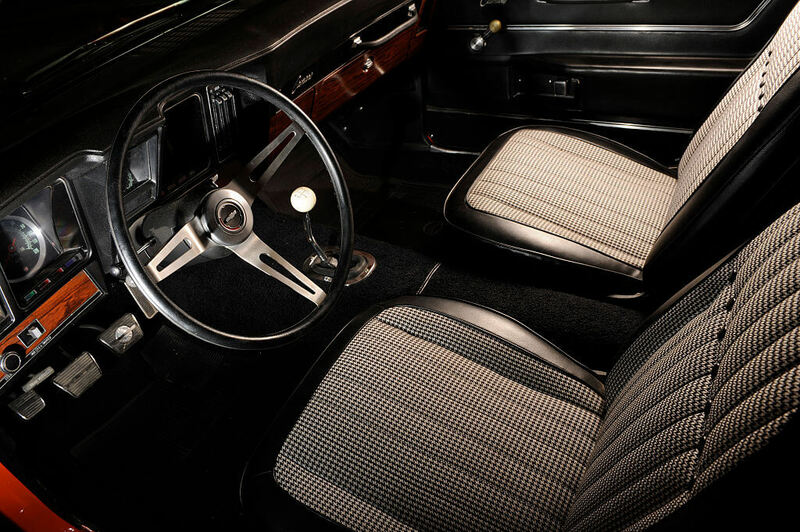 The first generation (1967-69) involved a two-door coupe or convertible model and featured a new rear-wheel drive GM F-body platform. 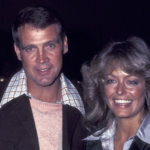 The second generation (1970-1981) had broader style changes. The third generation (1982–1992) featured fuel injection and hatchback bodies. The fourth-generation (1993–2002) was a coupe body style with 2 plus 2 seating or convertible. 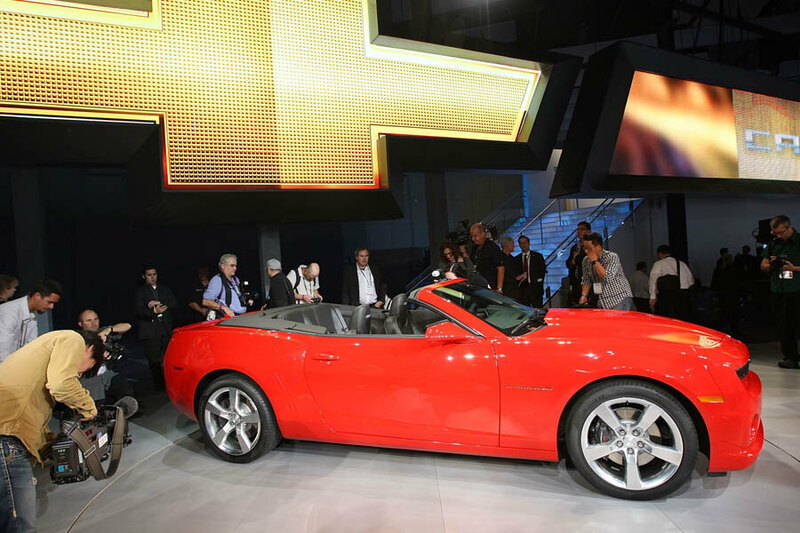 The fifth generation (2010–2015) was completely redesigned and was based on the 2006 Camaro Concept and 2007 Camaro Convertible Concept vehicles. The sixth generation (2016–present) Camaro was launched on May 16, 2015, and was connected to the vehicle’s 50th birthday. Even some of the biggest Camaro fans don’t know about this rare edition of the vehicle. One of the most exclusive Camaros is the Central Office Production Order (COPO) Camaro. It is so rare, that even many car enthusiasts don’t know about it. It’s meant for the track, and they are built by hand. Diehard fans can only buy one if they win a special lottery. An average Camaro takes 20 hours to build, but a COPO edition takes 10 days. Each special edition vehicle features a unique number, which makes the owner feel like he or she has something unusual. Chevrolet sells them for at least $110,000, but consumers can also buy the COPO cars at auction for a bit more money. 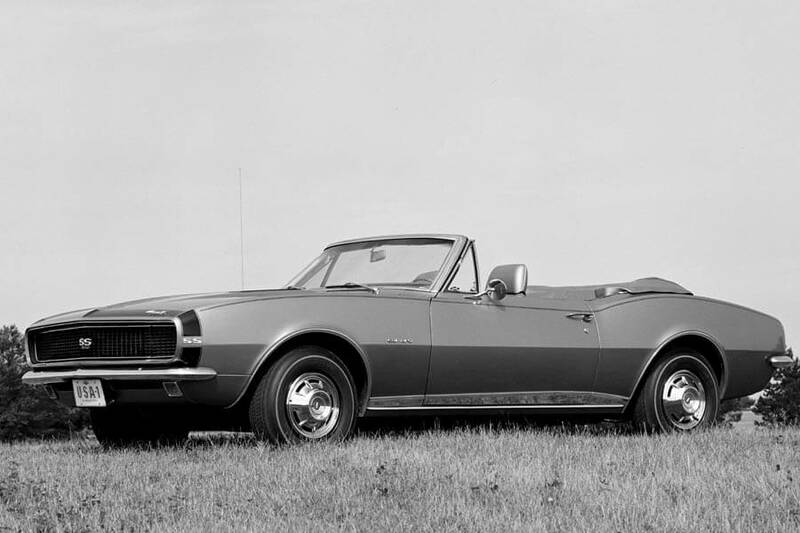 On May 21, 1966, GM produced the very first Camaro. The pilot prototype number 10001 was built in Norwood, Ohio, at the GM assembly plant not far from Cincinnati. The automaker built 49 pilot prototypes at that plant as well as three pilot prototypes at the Van Nuys plant in Los Angeles. 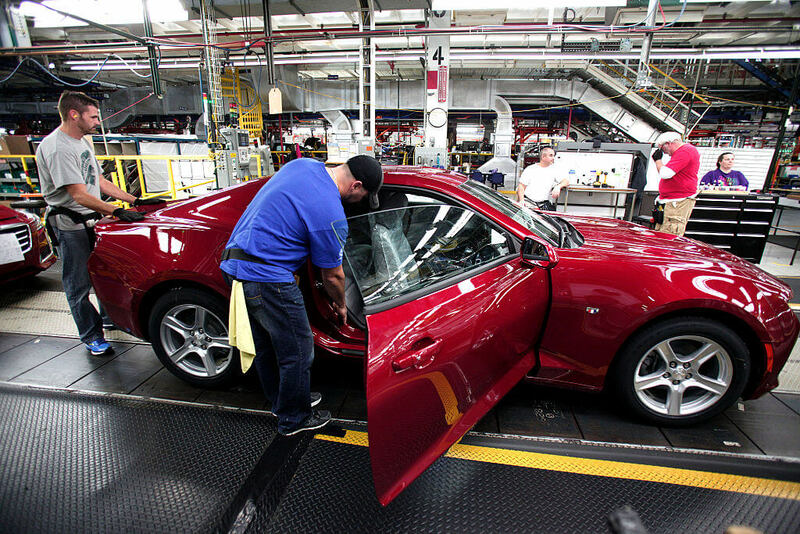 The automaker expected there to be a high volume of sales, and the Norwood plant’s equipment and the assembly line was prepared accordingly. The first pilot prototype Camaro is still around. The Historic Vehicle Association (HVA) even includes the special Camaro in its National Historic Vehicle Register. 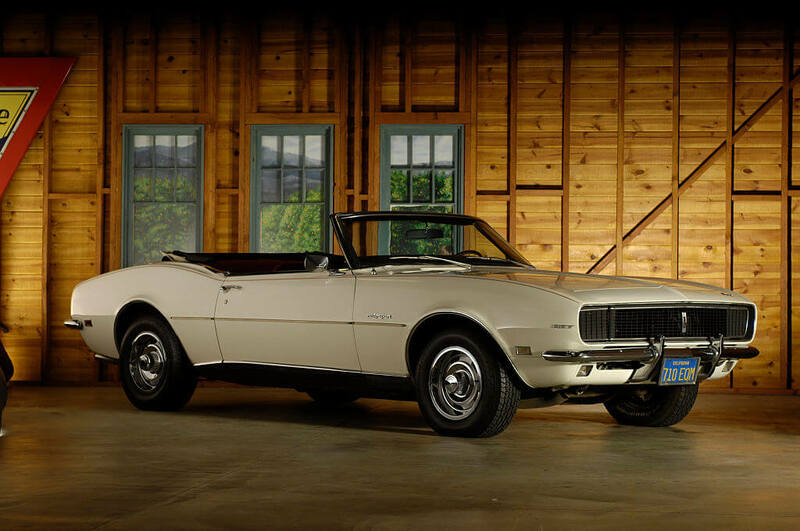 In 1969, Chevy produced two versions of the Camaro. 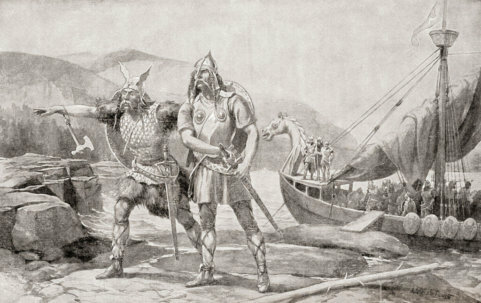 The first versions was available for the public to buy. It had a 425 horsepower rated, 427 big-block V-8 engine. It was a beast in a the streets, but it wasn’t enough to satisfy the carmakers need for speed. They company also produced one specifically for Chaparral. The racing team planned to use the monster in the CAN Am series. This special beast was known as the COPO and was rated with 430 horsepower! 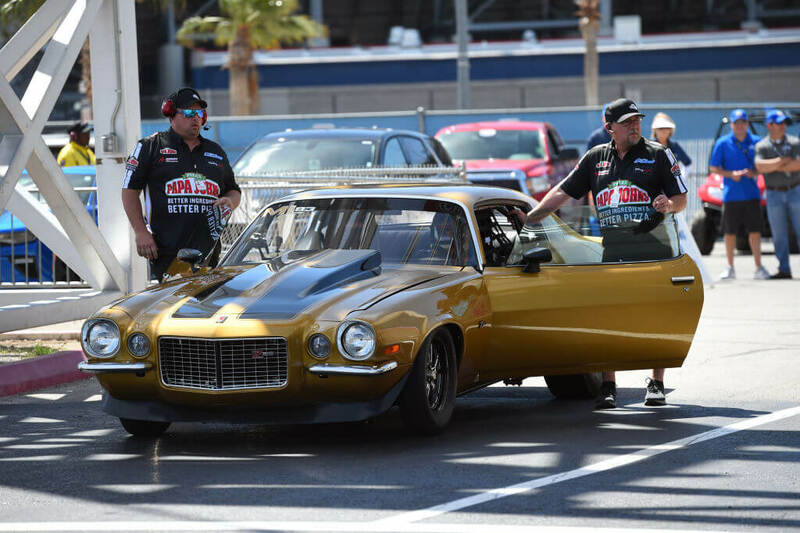 The COPO Camaro may have be designed for the race track, but that doesn’t mean it never made it to the streets. Along with it’s racing pedigree, it was also designed as a “fleet” automobile and was made available for commercial use. If you ever wondered how police ended up driving Camaros, now you know. For the police’s version, the Camaro was was upgraded with a new heavy duty suspension. Do you remember what else these Camaros were used for? The answer is taxis, which were given much needed stain resistant interiors! In 1972, Chevrolet stopped making Camaros with big-block engines. Some of these models still got the engine, which was $96 dollars more expensive than the 350 small-block engine. If you lived in California, though, you only had the small-block option. In total, there were 6,562 Camaros built in 1972. Of that number, less than 1,000 were built with big-block engines. Of course, if you bought a Camaro that didn’t have one, there were ways to upgrade the vehicle, they just weren’t cheap. In 1982, Chevrolet did something crazy. It gave the Camaro its first hatchback edition. As you know, the point of the Camaro was to compete with the Mustang. Three years earlier, Ford successfully launched a Mustang with a hatchback, so Chevy needed to do that same thing with the Camaro. The hatchback Camaro proved to be surprisingly popular. 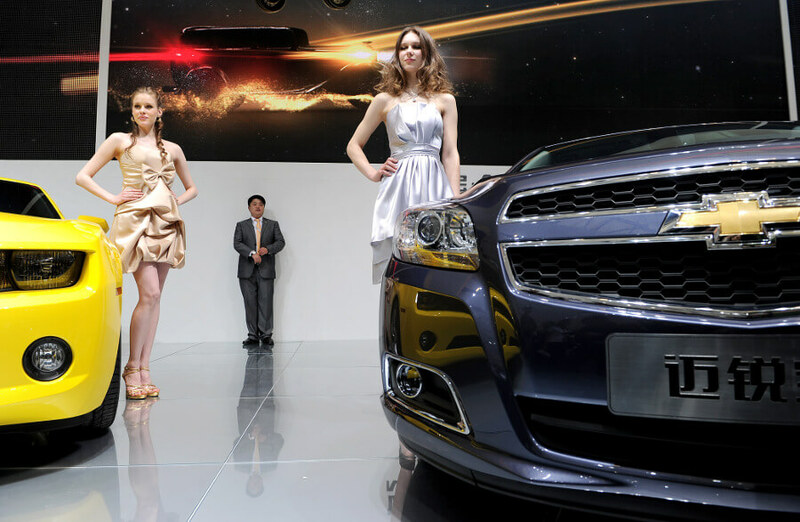 For the next 20 years, Chevy offered it as a package for car buyers. In 2002, the option was removed and the Camaro returned to its more traditional form in 2010. This might not sound like a big deal, but for the first five years of the Camaro’s existence, air conditioning was not a buying option. 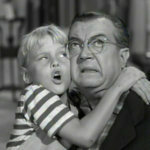 Finally, after enough complaints, Chevy did the practical thing and began offering air conditioning for the first time. 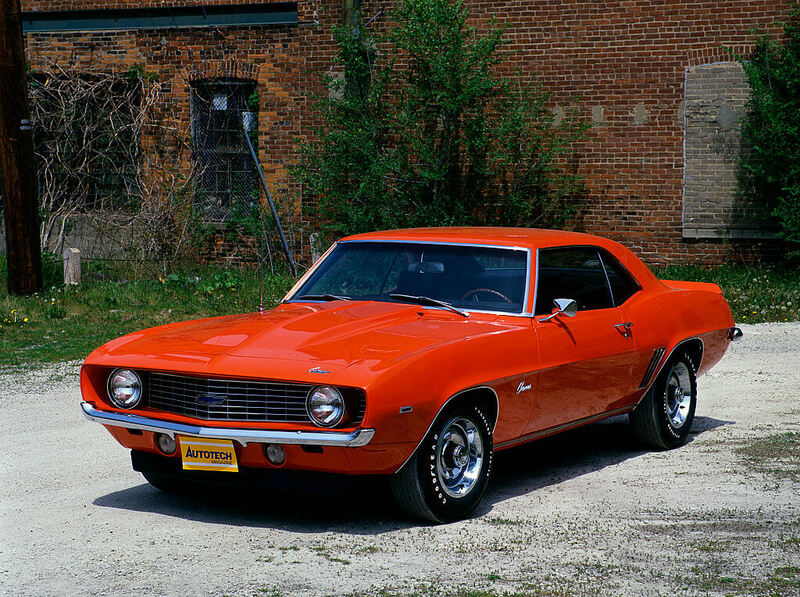 The first model with air conditioning was the Z28 in 1973. To make the addition possible, the company detuned the engine from 255 to 245 horsepower and put a hydraulic unit in the car. Thanks to this, Camaro owners in the desert could finally drive with clarity and freedom! The first year that Chevy began offering Camaros with alloy wheels was 1978. They were a part of the Z28 package and had five 15X7 spokes with GR70-15 white letter tires. 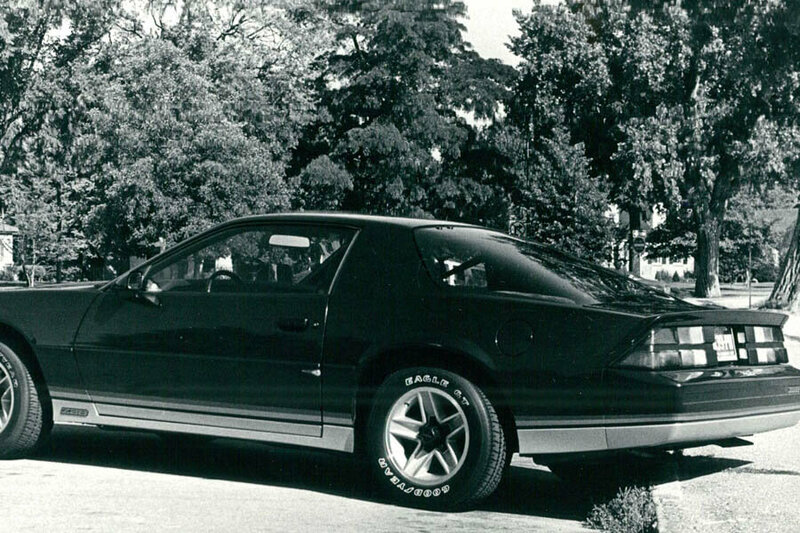 The introduction occurred one year after Pontiac began fitting the Trans Am with the same wheels. By adding alloy wheels and buying a T-top Camaro, you would have the top of the line model. T-tops were introduced the same year, also after other cars, and cost $625. Just under 10,000 models were made with this feature. If you ever see a striped Camaro on the road there’s an easy way to tell if its been restored or not. Chevy only put stripes on first generation Camaros with SS badges. The two wide stripes always ran over the car’s top and decklid. And only models from 1967 to 1973 were given stripes. If any other Camaro has those stripes, then you know it’s been restored, either freehand or by a local professional. The only exception to this rule are the 1969 Camaro pace cars, which had the SS badges but no stripes. When Chevy began working on the Camaro, they kept the project under wraps. 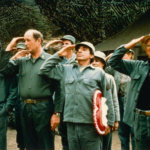 Not only was it code-named the Panther, it was also hidden from public viewing. The mystery behind the car helped build anticipation for the eventual reveal and release. The tactic was the opposite approach Ford took. One month after revealing the Camaro to the world, Chevy began delivering Camaros to dealerships around the country. 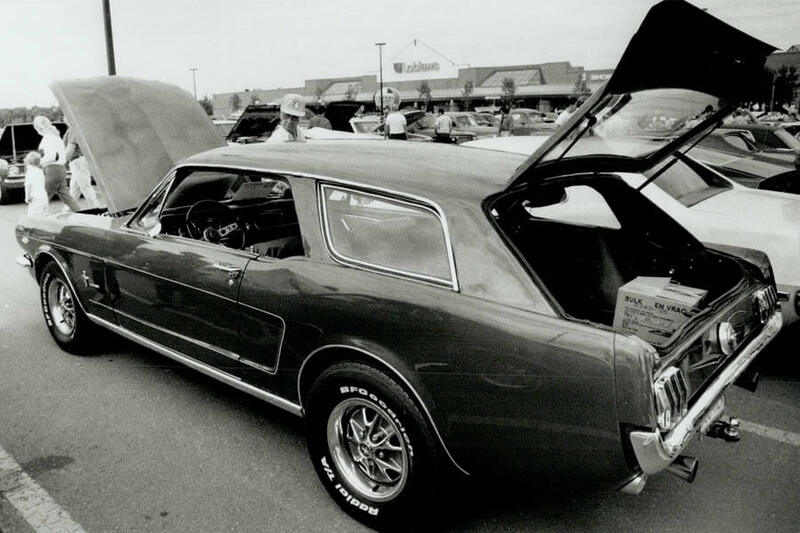 To many, this introduction began the “Pony Car Wars,” a brutal battle between manufacturers that is still raging today. The 2012 model of the Camaro introduced the most powerful version of the car ever to the market. Rated with 580 horsepower, the car was massive upgrade over the original 155 horsepower model. Heck, even the 1979 Camaro was only rated at 170 horsepower. No Camaro compares to the 2018 model, though. Powered with a 6.2 liter LT4 V-8 engine, this bad boy is has more efficient heat exchange than previous models while dwarfing them all with 650 horsepower! In 1970, Chevrolet ran into a major problem. They did not have enough new year Camaros to fit the demand and had to improvise. Well, not so much improvise as delay the release. That meant that most “1970” Camaros from that year were really 1969 Camaros. If you thought having a hatchback option was bad, then you’ll be more than relieved to know that Chevy scrapped plans for a station wagon version. The new model would have been marketed towards modern families looking for a sleek new car to drive their kids to soccer practice in. The company developed the vehicle and was getting ready to launch it when they pulled the plug. Let’s all breathe a sigh of relief that this version of the Camaro never made it to market! The Camaro didn’t come with a convertible until over two decades after it’s release. That doesn’t mean a convertible version was never produced before, though. 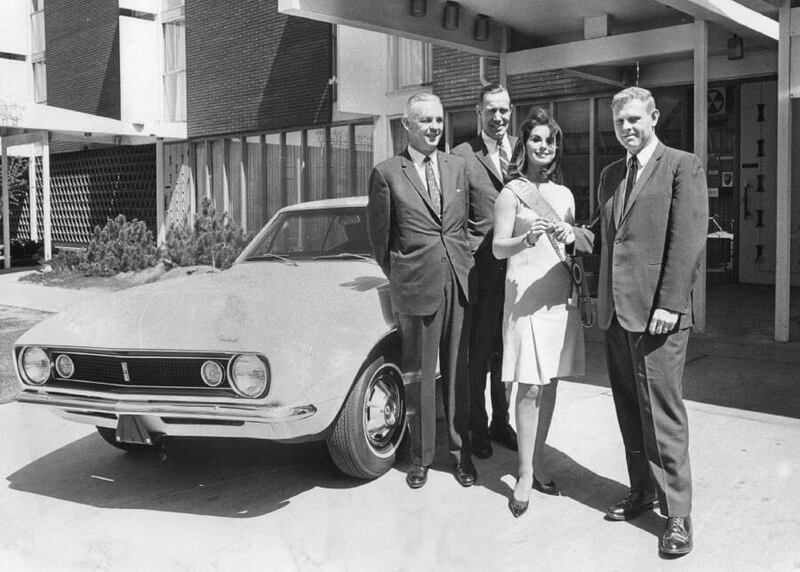 In 1969, engineers were getting ready to show off the new Z28 model to GM President Pete Estes. The group knew he loved convertibles, and in order to sell the new model to the boss, they made it a convertible. 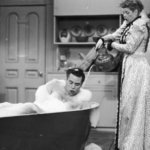 Estes loved it and let production proceed. 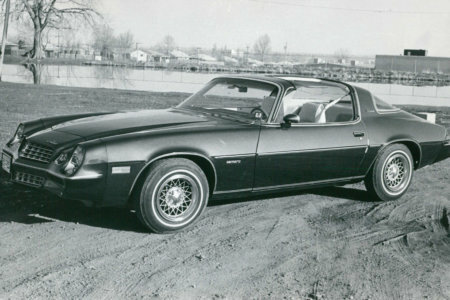 The public was never given the option for a convertible version, though, making Estes’ Camaro one of a kind. In an effort to further compete with Mustangs, Chevrolet began researching ways to make their cars perform at higher levels. There are two ways to do this; increase power of decrease weight. As a result, Chevy began developing weight saving modifications for the Camaro. The fifth generation Camaro reduced glass thickness of the rear window by 0.3 millimeters. The small change created a one pound loss and slightly increased power. They also reduced padding and sound insulation. Do You Know What COPO Stands For? Only true Camaro fanatics know the answer to this one. We talked about the COPO Camaro earlier, but did you know those letters stand for Central Office Production Order. The exclusive car is used mostly for racing but does have “fleet” automobile capabilities. Chevy only markets this version of the car to true gearheads, so if you’d never heard of one util today, you’re not alone. Each is exclusively built and can take up to ten days to build. For comparison, a commercial Camaro comes off the production line in 20 hours. You might think that the Chevy Camaro is a child of Detroit, but you’d be wrong. Think back to our earlier slide about Camaro prototypes. Do you remember where we said it was built? Even though Chevy is associated with Detroit, the original Camaro was developed and built near Cincinnati. Turns out Cincinnati should be famous for more than just chili spaghetti. It was in Norwood, Ohio, that Chevy had the first fleet of Camaro prototypes produced. Next time you’re at trivia and this question comes up, you can sleep peacefully knowing you contributed to your team. No rivalry between muscle cars is greater than that of the one between the Camaro and the Mustang. Chevy was sitting on top of the world with the Corvair when Ford introduced the Mustang and overtook the throne. In a effort to take back their crown, Chevy gave the world the Camaro, and one of the great auto wars was born. In 1965, the Mustang sold half a million models. In the Camaro’s first two years, it sold 400,000. Mustang might have had the upper hand early, but Camaro does today thanks to movie franchises like Transformers. Do you know what’s so special about the first ever Camaro prototype? Chevy had it made with a golden interior and exterior color scheme. The gold touch wasn’t just Chevy being hopeful. 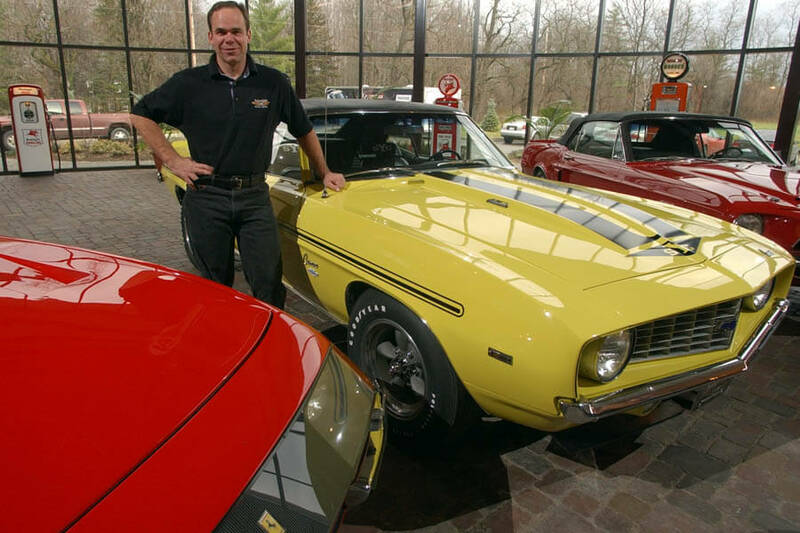 The car was a huge hit and helped them stay competitive in the muscle car market. 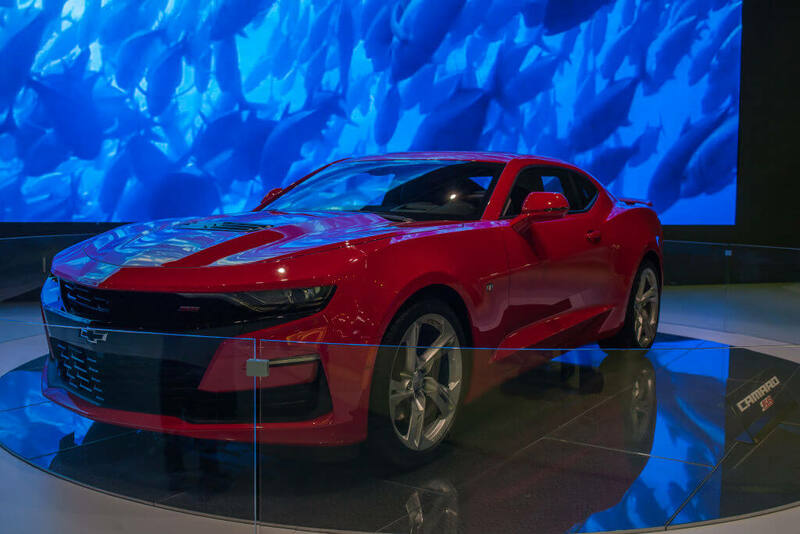 Since the success of the first prototype, every Camaro “first model” prototype has been given the same treatment. Midas’s touch even helped the car maintain sales as consumers turned their back on big and fast gas guzzling cars. 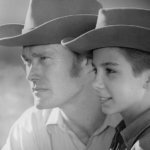 No car has been more important to the legacy of Chevrolet than the Camaro. 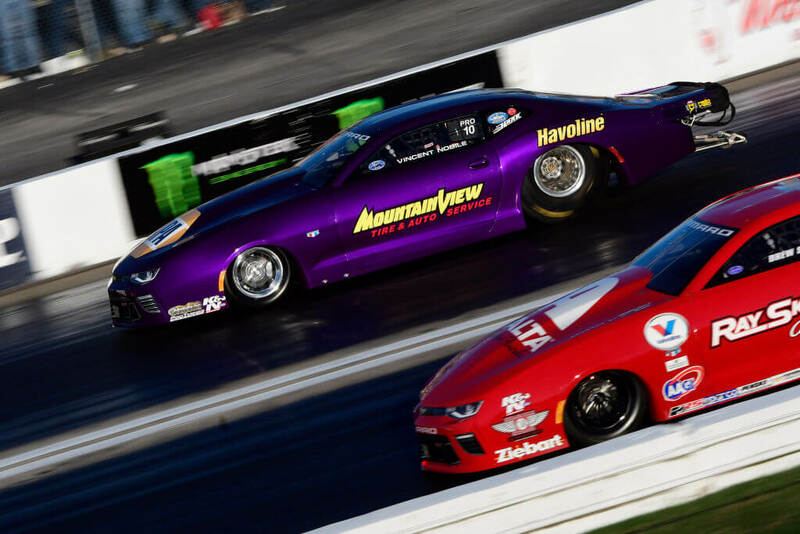 The Corvette is nice and shiny, but the Camaro helped bring muscle cars into the national highlight. Sometimes the significance of a car is more important than the price tag. Not that the Camaro is cheap or anything. Thank to the Camaro, Chevy has endured for over 50 years as one of the biggest car makers in the world. Today, the company continues to shine, winning award after award, only further etching their name in stone. Today, the Chevrolet Camaro is the third most popular collector car in the United States. According to Hagerty, there are over one million insured collector cars in circulation. The Camaro only falls behind the Mustang and Corvette in popularity. 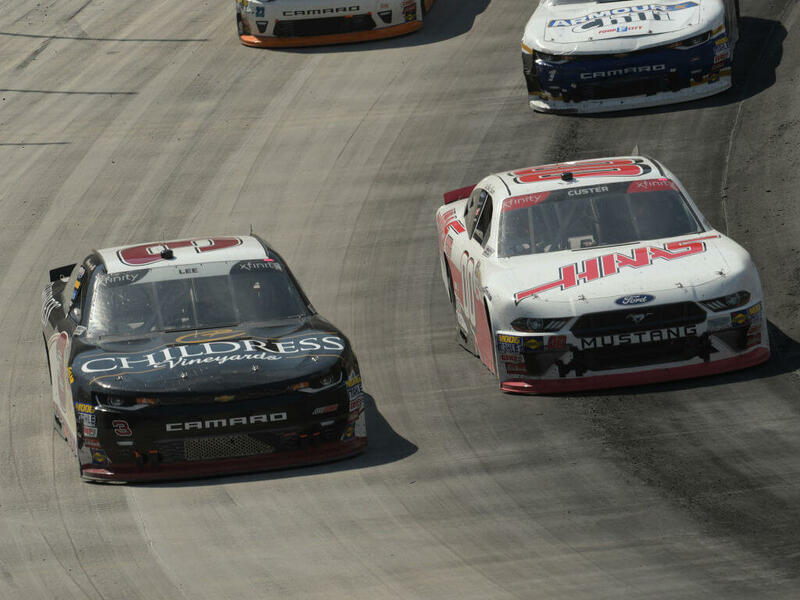 We’re sure Chevy isn’t upset about having two in the top three! Then again, consider their “war’ with Ford and the Mustang, maybe this doesn’t sit too well with them. They’ll just have to keep producing sleek, fast, and incredibly collectible models to make up for the difference! You would think with how iconic the Camaro is, it would have have been entered into HVA’s National Historic Vehicle Register sooner than 2018. There’s no time like the present to right a wrong, and now the Camaro prototype is joining its muscle car brethren . Once its measurements are taken and entered into the record, the car will be permanently placed alongside the Shelby Cobra Daytona prototype, a Furturliner, and the first Meyers Manx dune buggy.